This video was completed with a USB microscope, a electric herb heater and some OG. 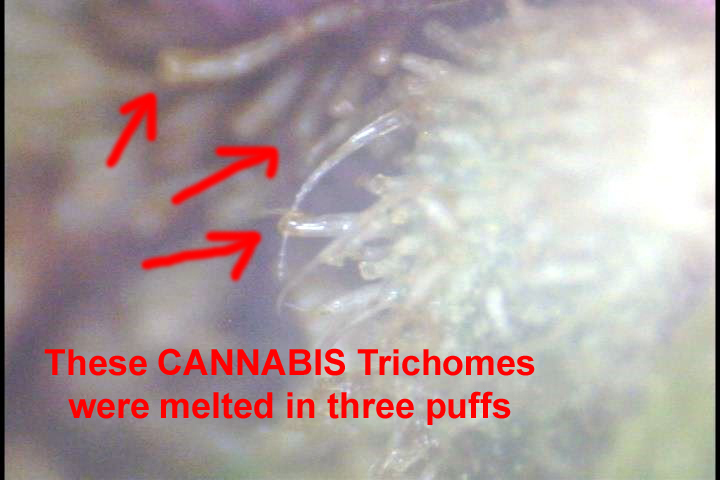 The image to the left is that part of the plant left after the trichomes have been vaporized by the pre-burn heat. You can clearly see the cannabis trichomes melt and vaporize while leaving the rest of the plant material.